Charter Hall Group, through its managed Prime Office Fund (CPOF), purchased three individual freehold properties in Brisbane CBD’s ‘Golden Triangle’ for a total consideration of $53.75 million. The properties were acquired in a 50:50 joint venture with the Investa Commercial Property Fund (ICPF) with a forecast on completion value of more than $500 million (100% interest). Centrally located within the heart of Brisbane CBD’s ‘Golden Triangle’ the properties are located at 366, 370 and 380 Queen Street and comprise a total site area of 2,147 square metres. The amalgamated properties offer an opportunity to secure a major development site, subject to Council approval, in the core financial district and will provide a 50-metre frontage to Queen Street. "With a limited number of suitable development sites and a forecast improving office market in Brisbane’s CBD financial district, amalgamating these sites for future development will provide superior returns to alternative stabilised asset acquisitions in the market," Charter Hall Group Office Executive Adrian Taylor said. “The acquisition is consistent with CPOF’s strategy of acquiring core prime assets in CBD locations to develop and hold, in order to create significant value through an enhanced income yield and total returns for CPOF investors. "Subject to Development Approval, the Blight Rayner designed property will comprise a new generation A-Grade commercial office building, with a total NLA of approximately 45,000 square metres. The proposed development will comprise basement car parking, podium level with gym and childcare, end of trip facilities, retail accommodation, and office accommodation over 40 levels. The proposed new development will exhibit strong environmental credentials with a 5 Star Green Star Design and As Built rating, 5 Star NABERS Energy Base Building rating and a Well Core & Shell Rating. Charter Hall Head of Office Development, Andrew Borger said the proposed development of 370 Queen Street will seek to capitalise on the limited number of development opportunities within this precinct and provide a high quality location that is connected to amenity, transport and Brisbane’s other major trophy towers. "The tower will have a competitive advantage to older generation buildings with high technology focus, sustainable design and performance, and a façade which maximises view corridors to the Story Bridge and the Brisbane River,” he said. 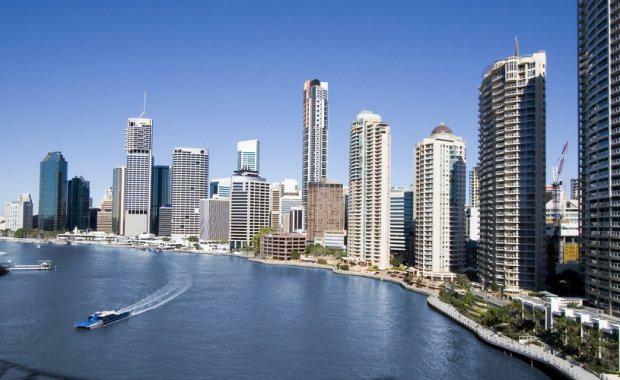 Market indicators suggest that the worst of the recent downturn in Brisbane’s CBD office market has passed, and increased tenant demand and a more conservative development pipeline over the next 2-3 years should see total vacancy in the CBD fall. CBRE Managing Director Flint Davidson said the Brisbane CBD is a geographically constrained CBD and so there are very few opportunities to amalgamate meaningful sites for development in the next cycle, particularly in the ‘Golden Triangle’. "As we move into the recovery and growth phase of the leasing market, the appetite for these sites from the major domestic and foreign development groups has increased significantly,” Mr Davidson said.